Did you happen to catch yesterday's post??? I had a Whoop de Doo. 15 guests in my back yard and LOTS and LOTS of food! Started posting the dishes with a spectacular Pistachio Crusted Spiral Pork Chop Bite (yes, that's bacon, pork wrapped pork, Summer in my back yard!). But as much as I love grilling for a Whoop de Doo, Man does not live by grilled meats alone (sigh). So as much as I ponder the meats, the side dishes are just as important. I like this as a side since it can (and actually tastes better if..) made in advance. Several hours or even overnight. This frees you up to do the last minute grilling. I also love it cause it tastes soooo good! It smells and tastes just like a visit to an Italian Deli! This recipe does fall under the category of, "who does he think he is???". 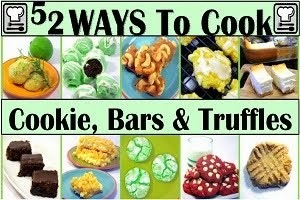 It was inspired by a recipe I saw in this month's Food Network Magazine. I made a few changes that I believe really make this a winner. First the major change... Deli style Brown Mustard Vinaigrette added to the mayonnaise. After all, what's deli food without Deli Style Brown Mustard (plus it makes this salad unique)! Next... Italian spices. Specifically, Herbes de Provence. Hey... It's an ITALIAN DELI, use Italian spices. And finally, Tomatoes. I used Roma tomatoes cause it almost sounds like Rome (pretty famous Italian City), but mostly cause I like tomatoes. Served cold, creamy, vinegar tasting and LOADED WITH ITALIAN DELI TASTES!!! Enjoy, I did and so did my Whoop de Doo guests! Prepare Pasta according to package directions. Couple of tips, Salt (not oil) is what makes the pasta NOT stick together. Make the water salty as the ocean (about a half cup). Don't worry, most drains off), And speaking of draining. Just drain the pasta, do not rinse. the starchy water coating helps the sauce to absorb into the pasta instead of just pooling (usually on the bottom of the bowl). Finally, only cook the pasta for one minute less than the box says for a more chewy al Dente taste). While the pasta is cooking, thoroughly mix together the Mayonnaise, Brown Mustard and Red Wine Vinegar. When pasta is drained, return to pot, add sauce and mix. Now add all remaining items and stir to combine. Cover and chill overnight (or for a couple hours at least in the refrigerator to allow the flavors to mix). We had a Whoop de Doo last weekend!!! 15 guests, about 10 different dishes and a full back yard of grills (I used all three of my Weber Kettle Grills at once), fun and good eats! Of course I don't need an excuse to hold a Whoop de Doo, just the perfect spring night weather would be enough. 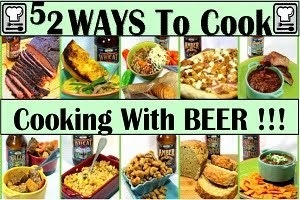 Or a chance to cook for valued friends and family... Certainly more than an excuse. But this day's cook had a special meaning. What else would he do with this haircut??? My son, James has got his marching orders. Despite our pull back from Afghanistan, there will still be about 10,000 US troops there next year. My son will be one of them. he is a medic in the Army, assigned to route clearance duty. he will be busy closing bases and shuttling personnel and material as we consolidate our presence. He leaves in August but he will have a busy schedule of additional last minute training (hurry up and wait since he has been mostly idle for the last two years while assigned to Ft. Riley) and spending his 30 day leave to visit his Mother, Sister and hunting down old girlfriends "back east". So, this Whoop de Doo was held in his honor, one of the last few chances for dad to cook for his son for a year and a chance my neighbors and friends to shake a hand and wish him well. But it also gave me a chance to cook up some of my favorites... Like these beauties. Slathered in a specialty BBQ sauce. I used an Easy Mango BBQ Sauce. Made this to sound even more exotic and special (and to taste more exotic and special)! Then rolled in Pistachio Nuts. Again... Exotic and special. However I have made almost the same thing before... You can use chicken in place of pork. I have used different sauces. Use your favorite and it will work as well. And the nuts... I like roasted pistachios. But I have also used BBQ peanuts, regular peanuts and also Hazelnuts... All your choice! They come out about an inch, inch and a half tall, about the size of a silver dollar. They can be an appetizer, main course or a part of a main course like when I through a Whoop de Doo)! Spectacular look... Exotic tastes... Perfect for your own Whoop de Doo! One 3 Lb pork Loin Trimmed, cut into 1/2 inch strip, width of a slice of Bacon, length of a slice as well. One Lb Thick Cut Bacon, each slice cut in half, Baked or pan fried just slightly cooked, still pink and flexible to render some of the fat. The Prep work... Make the Easy Mango BBQ Sauce or your own favorite sauce. Slice the pork loins into the thin long strips (1/2 inch thick, about the length of a slice of bacon. Bake or pan fry the bacon for just a few minutes (I bake mine, about 10 minutes, about half the usual time) until slightly done but still very flexible. Cut in half. Crush the nuts... part pieces for the look and part dust for the taste. Soak your skewers to prevent them from burning wile grilling. At least 2 hours. The Assembly... Take a meat mallet and carefully whack the strips of pork until each slice has doubled in width and been pounded thin. Be careful to only pound the meat so the strips get wider and not longer. Lay 2 half slices of bacon on the strip length wise. Leave about 1 inch from the end,. Since each piece of tenderloin is twice the length of the half slices of bacon, there will also be a couple of inches left uncovered by the bacon at the far end. Now, cut the tenderloins in half lengthwise leaving two pieces of tenderloin partially covered with half slices of bacon. Brush a coating of the Easy Mango BBQ Sauce (or the BBQ sauce of your choice).on the bacon and exposed tenderloin. And now the roll... Roll each piece of tenderloin in a loose pinwheel loose, but not too loose... tight but not too tight). As you roll up the center piece of bacon will curl to almost the end of the pork, leaving a pinwheel look to the edges. Each pinwheel should be about as tall as it is wide. Each should be the circumference of a silver dollar. And for the Coating... GENEROUSLY coat the outside (not the pinwheel top/bottom) of the wheel in the Easy Mango BBQ Sauce (or sauce of your choice). Then roll the wheels into the nuts so there is a coating of nuts. Carefully skewer each so they will be easy to handle on the grill. I like to do three on each skewer and as shown, two skewers per (like a shish-ka-bob. You may need to repack the nuts onto the side as they can fall off during the skewering. Time to Cook... Build a charcoal fire for direct grilling (I also make these on my gas grill when needed quick). Direct grilling over medium high heat and cook for about 7 minutes per side or until the edges of the bacon begin to crisp. Internal temperature should be 145 degrees, measured in several places. Serve with reserved Easy Mango BBQ Sauce drizzled on top of each pinwheel. Serve warm from the grill (resting for about 10 minutes before plating) and ENJOY! Today's post is a bit different for me. 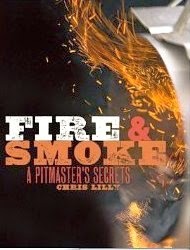 I am writing a review of one of my most recent purchases... Fire & Smoke, a Pitmaster's Secrets by Chris Lilly (of Big Bob Gibson's fame). CHRIS LILLY is vice president, executive chef, and partner of Big Bob Gibson Bar-B-Q. The Big Bob Gibson Bar-B-Q Competition Cooking Team has won ten World BBQ Championships, six world titles at “Memphis in May,” and the American Royal International Cook-off and BBQ Sauce Competition. Lilly is married to the great-granddaughter of BBQ legend Big Bob Gibson and is the author of Big Bob Gibson's BBQ Book. Yeap, Mr. Lilly does indeed have his BBQ chops! If you have ever had or heard of Baptized Chicken using an Alabama White Sauce... That's from Chris Lilly and his restaurant, Big Bob Gibson! In that book, we are taken on an historical tour of how one of the most famous BBQ joints came to be and has thrived among the competition in an area while dozens and dozens of pop up want to be pitmasters have come and gone. The restaurant has certainly evolved in it;s 90 plus year history, as have the recipes. But Chris shares his memories of the last half of the history along with the family legends that create the mythical shrine to Southern BBQ. This original book did a great job of what it intended to do. Introduce the restaurant, share stories and legends, entertain and give home Que-ers an opportunity to try out the Big Bob Gibson magic themselves. The only possible complaint people had was that the book relied too much on the seasonings, rubs and sauces that are available for purchase at the restaurant (or by mail order). Fire and Smoke, his new book is the perfect companion to his original as the history section of the book goes into much more detail about the types of cooking grills and smokers used throughout the south and less specific to the restaurant. In other words... The way we cook! The book is simply beautiful. 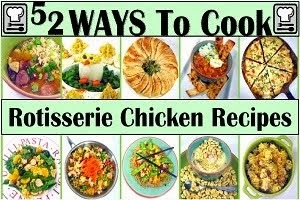 Almost every recipe includes a full page photo of the finished dish or suggestions on serving or cooking techniques for that dish. The little extras are always appreciated. 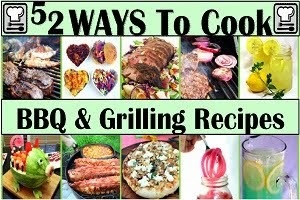 From references on a dozen or more different types of grills and smokers (complete with cost and each cooker's "ideal" use) to chapters on making your own rubs and sauces (this time giving the recipes instead of suggesting mail order). 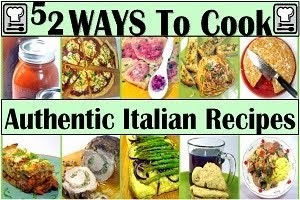 There is even a detailed chapter on making Grilled Pizzas (a personal favorite use of the grill for me)!!! 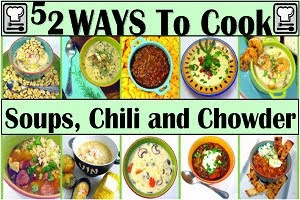 Whole chapters on GRILLED Drinks (yeap... Grilled) that will make all of your guests Ooh and Aah at your skills, to appetizers to salads and sandwiches, main dishes, side dishes and a lot of fantastic desserts... There is even a first ever chapter for me... I had never seen a chapter on what to do with leftovers in a major BBQ book before. If you are like me,if I am going to fire up my smoker, I am going to load it up. So, what to do with that gallon of extra pulled pork... How about an Overstuffed Pulled Pork Potato (you will have to buy the book to see that recipe)... Or a delicious looking Brisket Eggs Benedict. 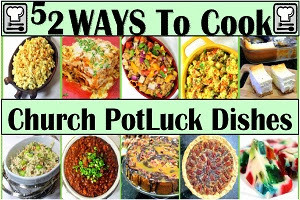 Now I need a new smoker just so I can make EXTRA EXTRA leftovers! Yeap... Indeed, I loved this book. One of the most complete I have ever seen. Chris does go into great detail on the methods of cooking with photo tips and ideas to recreate his recipes. Terms like "Indirect Grilling" and "Internal Temperatures" are explained so that even a novice can carefully read the details and succeed. But a more seasoned Que-er will also come up with more than a few ideas that make the price of the book more than worth it. So these grilled peaches are indeed inspired by a recipe in Chris's new book. I just made a few tweeks. Such as, Chris advertises these as pickled. But honestly, the amount of time that the peaches sit in the pickling sauce is only about 4 minutes (in Chris's recipe). Sounds to me more like Peaches coated in a pickling sauce than pickled peaches. But the idea of pickled peaches intrigued me. So I decided to let them stew in the juices for awhile before grilling them. I made my sauce, set at a low simmer, added the peaches, covered the pot, removed the pot from the heat and let them sit for an hour before I grilled them. It probably is a subtle taste difference, but it worked just fine. Indeed the sweet vinegar taste came through just fine. Besides, I could do this prep work ahead of time, add the peaches to the sauce just as my guests arrived. Then an hour later (of course they could have sat longer if the BBQ is going well conversationally). Then since they have a quick cook time it was easy to transition to grilling the dessert. Always a popular event for non-experienced grillers to watch. My final change is forced on me seasonally. I love peaches and especially grilled peaches. But it's early spring and there are no fresh local peaches available. Which means fresh from the can. Don't be afraid of the can, that's where the freshest ones are. 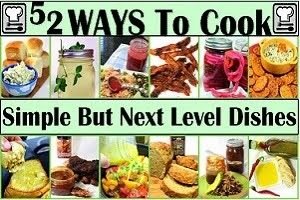 The recipe is meant as an example of my positive review of the book, the recipe is indeed inspired by and includes much of Chris's suggested recipe. Just made enough changes to call this my own, but indeed without Chris's book I would not have found a new favorite! The book comes highly recommended and I am sure I will get inspired to try something new again! An hour before your BBQ, in a medium cooking pot, combine the Orange Juice, Maple Sugar, Cider Vinegar and Sugar. Bring to a slow boil. While the pot is heating, put the pickling spices into the center of a large square of cheesecloth. Gather the corners and tie them together to form a small bag. Add this to the simmering liquid. Reduce heat to maintain low simmer for 5 more minutes so the spices mingle. Turn off heat, add the peaches, gently stir to mingle new juices with simmer pot. Remove from stove, cover and allow to rest for an hour. Move to the grill, preheated to high. Add the peaches, direct grilling over the HOT coals. Grill until the sweet syrup begins to caramelize, about 5 minutes per side, when grill marks appear and the peaches lift from the grate easily. If you try to move them too soon and they stick, just be patient and wait until they life easily. Serve quickly while they are still hot, add a scoop of ice cream (so eat quickly as the HOT fruit will melt the ice cream). Delicious and easy to fit into any BBQ, Burgers and dogs or a multi course extravaganza! All the prep work and assembly can be done hours in advance so you can just toss on the grill, cook and serve. These are small enough you can just add around whatever you have cooking. Fantastic little appetizers. I try to pull them from the grill same time I am "resting" my meat so everyone has an appetiser to chew on while waiting. But make enough, they are WONDERFUL and it is hard to stop at just one. In a small saute pan, Melt the butter over medium high heat. Add the pecan halves, salt and cayenne pepper. Reduce heat to low and saute the pecans until they just start to toast, about 10 minutes. STirring occasionally, the pecans will also absorb most of the butter making them slightly soft but still slightly crunchy for texture. Slice each date through just one side so that the seed is exposed but the dates are not cut in half. Just enough to remove seed and open a pocket in the date. In each date, insert an equal small amount (about a 1/2 tsp each) of the Cheese, sun dried tomato Pesto and one of the finished Spiced Pecans. Wrap each with the half bacon slices and secure with a toothpick or a long skewer. Over direct heat on your grill, add the wrapped dates. Takes about 10 minutes for them to cook. The dripping bacon grease will cause flare ups so stay close and turn often until all sides of the bacon is cooked. The dates and the stuffing are safe to eat as is, you are just heating them. The dish is finished when the bacon is cooked. Serve HOT from the grill and ENJOY!!! Second, use a HOT grill. Direct heat (fruit directly over the hot coals). Be sure the grates are also HOT before grilling them. Third, use tongs to pick up the lemons from the grill, but lightly. DO not squeeze when over the coals. But just before dropping them into the pitcher of tea, give them a little squeeze. This will release the juices and open the cooked flesh up to allow the tea and juices to swirl together. And finally, don't be afraid of the grill marks and slight charring that happens. Your tea will not have a burnt taste. And viola... Southern SWEET Tea with no sugar added... really, try it! Over direct heat on a HOT Grill, place the lemon halves open side down. Grill for about 5 minutes, until the lemons get very soft and grill marks start to appear. Carefully lift from the grill (if you squeeze them with tongs, the sweet juices will pour out) and drop into the tea, with a little squeeze when over the tea to release the juices. Serve refreshingly COLD over ice and ENJOY! Today's post is a bit different for me. I am writing a review of one of my most recent purchases... Fire & Smoke, a Pitmaster's Secrets by Chris Lilly (of Big Bob Gibson's fame). In my opinion, no review is complete without at least one recipe from the book made with my home kitchen and grilling equipment limitations. I selected the Amazing Pork tenderloin over a Spinach Salad... But we will get to that in a second. As to this recipe... Could not be more thrilled. The recipe includes a fresh made salad dressing (nothing screams homemade treat like opening a mason jar of salad dressing at the table as you serve). There is also a recipe for a suggested rub to apply to the pork before cooking. A terrific introduction to making a rub and eventually working up a signature rub... Again, bragging rights while serving when you talk about ingredients in "your" rub can not be over rated! And finally there is a cooking sauce that is used during the cooking process. Making that moist tender and FILLED WITH FLAVOR piece of meat perfect every time. The total package for a no fail meal. And speaking of meal, the salad is a real treat. I did pack mine with a few extras to make it a little more colorful, but what a beautiful presentation of a fruit filled salad with the perfectly seasoned and prepared pork medallions on top. the book is available from Amazon.com. Just a quick disclaimer, I received no compensation for this review. I bought the book myself, paid full price... Well discounted full price as I bought from Amazon. I have included links for the books below. If you click on one of those links and buy, I will get a small (appreciated but very very small) reward from Amazon for directing you their way. The reprint of the recipe is meant as an example of my positive review of the book, to highlight the details and ease of following the recipes. And one final note... There are lots of ingredients in this recipe. But considering the scratch made salad dressing is 7 ingredients, the scratch made Seasoning Sauce another 6 and the Dry Rub recipe is 8 ingredients, if you use a store bought salad dressing (not recommended, nor as much fun, nor (and most importantly) will you be able to have total bragging rights when you serve, or a store bought rub or sauce, the actual dish only has 8 ingredients. But most of the other ingredients are probably in your pantry anyway. Build a charcoal fire for indirect cooking by situating the coals on only one side of the grill, leaving the other side empty. Preheat the grill to 275 F.
For the dressing: In a medium bowl, whisk together the vegetable oil, vinegars, hot sauce, granulated sugar, salt and pepper. Set aside. For the liquid seasoning: in a small bowl, combine 2 tablespoons of the soy sauce, olive oil, lemon juice, brown sugar, garlic powder, and pepper. Set aside. For the dry rub: In a small bowl, combine the brown sugar, salt, paprika, cumin, garlic powder, pepper, cinnamon, and ginger. Season the pork tenderloin liberally with the dry rub. In a 10 inch cast iron skillet on the stovetop, cook the bacon over medium-high heat until it is crisp and browned, about 5 minutes. Transfer the bacon to a paper towel-lined plate. Add the seasoned pork tenderloin to the skillet and sear for about 30 seconds on each side. Remove the skillet from the heat and pour the liquid seasoning over the pork. Put the skillet over indirect heat on the outdoor grill. Close the lid, and cook, turning once, until the internal temperature of the pork reaches 145 F. in the center of its thickest portion, about 30 minutes. Transfer the pork to a cutting board and let it rest. Put the skillet, with the cooking juices, on the stovetop over medium-high heat. Add the red onion and cook, stirring, until softened but still slightly crisp, about 4 minutes. Transfer the onions to a bowl. Rinse the skillet under running water to cool it and wipe it dry. Fill the skillet to the top rim with spinach leaves. Top the spinach with the onions, clementines, and bacon. Slice the tenderloin into medallions and arrange them on top of the salad. Drizzle the top with the dressing and serve in the cast iron skillet family style. NOTE... These are the changes I made... NONE, except I used a large serving platter instead of the more dramatic presentation of the salad served in a cast iron skillet. I also made only a single substitution, the Orange slices in place of the clementines. I also added a few extras in the salad (strawberries, water chestnuts and grilled green onions). I only added them because I had extras around the refrigerator with no plans. 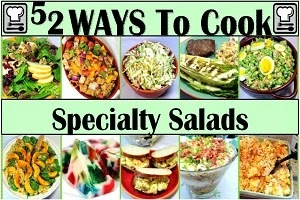 Better to fancy up the salad than waste food.